The Health and Human Services Committee heard testimony March 15 on a bill that would allow public and nonprofit emergency medical transporters to be reimbursed by Medicaid at the same rate as hospitals and other medical providers. 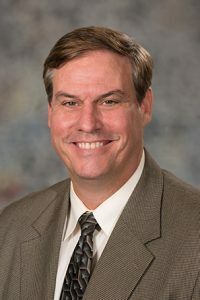 LB578, introduced by Omaha Sen. Mike McDonnell, would establish a Ground Emergency Transport Program in Nebraska to allow eligible providers to receive supplemental Medicaid reimbursement for ground emergency medical transport services. McDonnell, who served 24 years as a firefighter, said several other states have established similar programs as a way to capture higher reimbursement rates for ground transport of Medicaid patients in emergency situations. Currently, the supplemental reimbursement is available only to a hospital, physician or nursing facility. 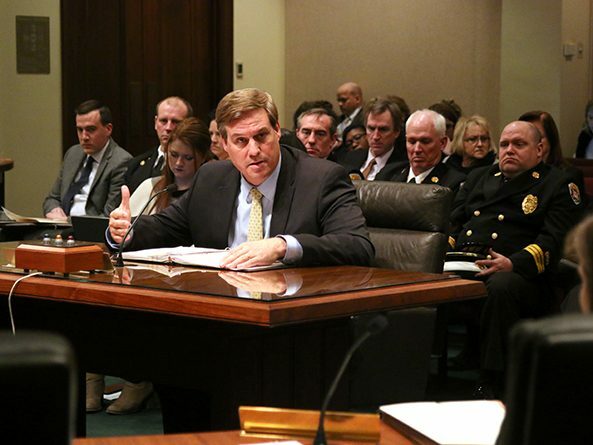 Most of the state’s fire departments are financially strapped, McDonnell said, and many times emergency transfers go unpaid and taxpayers must pick up the cost. “This program will help local departments fill a funding discrepancy without dipping into the state’s general fund,” McDonnell said. Under the bill, the state Department of Health and Human Services would administer the program and participation by local government entities would be voluntary. The program would apply to providers owned or operated by the state or a city, county, rural or suburban fire district, hospital district, federally recognized Indian tribe or other unit of government. Lincoln Fire Chief Micheal Despain testified in support of the bill, saying the underpayment that departments receive for emergency ground transport of Medicaid patients has to be made up elsewhere. For example, he said, the average cost of an ambulance ride is $500, but a public Emergency Medical Services (EMS) department only receives approximately $170 in reimbursement from Medicaid. This creates a need to charge other payers in excess of $1,000 in order to make up the difference, he said. Micheal Dwyer, an Arlington volunteer firefighter, testified in support of the bill on behalf of the Nebraska State Volunteer Firefighters Association. He said rural EMS services face particular challenges because they have small budgets and in some cases no public funding. Any additional funds that these entities could capture from the federal government could be used for much-needed recruitment and retention efforts, he said. “Funding issues continue in rural Nebraska and this is a piece of being able to help with that,” Dwyer said.